This is our January 2019 probate homes sales in Santa Clara County market activity report. The data consists of homes sold in probate and include trust and conservatorship sales. There is a legal process an executor and administrator must follow to administer an estate. The process includes how to sell a probate home. It is prudent for an estate administrator or successor trustee to hire a trained, certified and experienced probate and trust sales agent to sell real property. Kathleen Daniels is a Certified Probate Real Estate Specialist (CPRES) and certified in professional fiduciary management for trustees. Education, Training, Knowledge, and Experience does make a difference. This report is comprised of statistical data from January 1, 2019, through January 31, 2019, extracted from our local Multiple Listing Service (“MLS”) as of February 1, 2019. There were 4 single family homes for sale. The highest price probate home sold was a single family home located in San Jose 95125. The home has 3 bedrooms, 2 bathrooms, approximately 1,482 square feet of living space on an 8,900 square foot lot. The home is 64 years old. The home was marketed as a Diamond in the Rough needing updating and TLC. The home listed on October 23, 2018. List price $1,130,999. After 28 days on the market, on November 11, 2018, the MLS reported pending status. On January 7, 2019, it was reported sold. The final sales price reported was $1,475,000 which is $344,000 above list price. It was a cash sale. The lowest price sold was a single-family home in San Jose 95127. It was also sold in probate. The home has 3 bedrooms, 2 bathrooms, and approximately 1,100 square feet of living space. It listed on October 28, 2018, at a list price of $650,000. The home was marketed as a contractor’s special needing lots of TLC. On December 3, 2018, the status was reported as pending. On January 3, 2019, it was reported sold. The final sales price reported was $550,000 representing $100,000 below list price. It was also a cash sale. The process for an executor selling a probate home in Santa Clara County starts with a petition for probate hearing. The process is administered by the Santa Clara County probate court division of the Santa Clara County Superior Court. At the hearing, the petitioner asks for authority from the court to administer the estate. The authority granted by the court depends upon if the person died with a Will, or Intestate without a Will, and if Full Authority is granted under the Independent Administration of Estates Act or IAEA. In the video below, Jennifer F. Scharre, probate and trust attorney discusses the advantages of administering a California probate estate with the power to sell real property without the court’s permission. This authority is granted under the Independent Administration of Estates Act. There are many things an executor needs to know about selling a probate home. The probate property sale procedure must be followed. Once the court grants authority to act on behalf of an estate and issues “Letters” the home can be listed with an experienced real estate agent. Some sales require court approval. 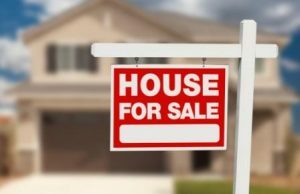 Most probate home sales are sold without court approval. Once an offer is accepted, the attorney for the estate follows the California probate notice requirements and sends a notice of proposed action to all parties entitled to receive notice. 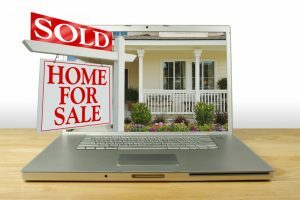 If there are no objections to the sale the balance of the home selling process is much like a non-probate home sale. Jennifer discusses how to probate an estate in California in a short video. 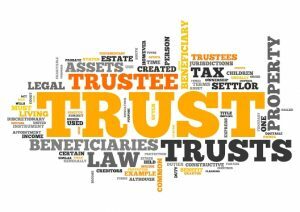 When a successor trustee sells a home held in trust we need to confirm the title to the real property is held in the trust. We also confirm the representative capacity of the person selling the home. Once we get all of the necessary documents we can execute a listing agreement and open escrow. There are some seller disclosure exemptions when selling a home in a trust. We go over the process with our clients upfront to ensure they understand what is expected of them and all of the details we manage. We specialize in selling homes in probate, conservatorship and in trust. We have helped many executors and successor trustees over the years sell homes. We understand the challenges people face. Experience does make a difference. We believe a higher level of service is needed when representing an estate. We are about high tough versus high volume of sales. We know that we cannot provide the highest level of service we provide to our clients and also do a high volume of sales. We track probate homes sales in Santa Clara County every month. We never know when we may be called upon to administer an estate or if we will need to sell a home in probate or trust. When you need help, call Kathleen Daniels at 408-972-1822 or contact us and request a consultation.